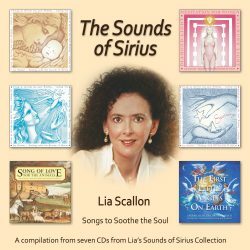 11 individual albums composed and performed by Lia Scallon. The sacred Source codes carried within the ‘Sounds of Sirius’ bring healing, nourishment and comfort to the soul. 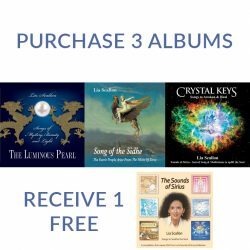 As the soul resonates with these beautiful other-worldly songs, it is stirred into remembrance of its own Divinity. The ‘Sounds of Sirius’ are a gift to humanity at this time of great change. 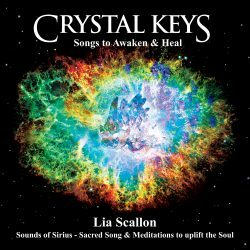 “Lia’s music has a natural ability to unlock the soul and allow the unseen world to influence us. ‘Quietly rapturous invitations to meditation and contemplation, and utterly unique’. 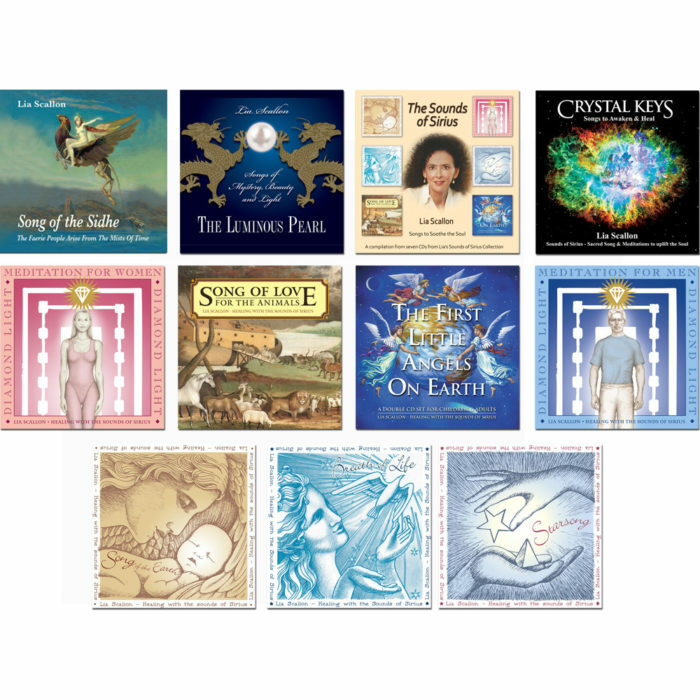 “Lia’s exquisite voice is deeply nurturing, healing and uplifting. One’s response to it is effortless and immediate, resulting in a state of total peacefulness”.